Other institutions are interested in integrated one-stop service called Public Service Mall which is provided by Jakarta Provincial Government.
" After operating for six months, various institutions from central government and regional government come to visit this Public Service Mall"
Since it was inaugurated in October 2017 until March 2018, it is noted 57 institutions from ministries, agencies, and regional governments have conducted work visit to the mall. 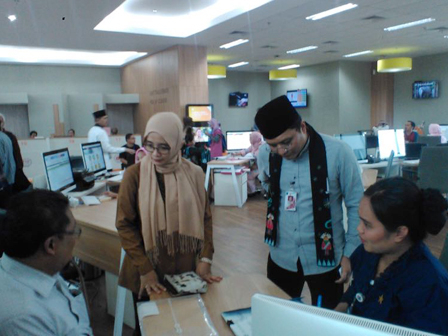 "After operating for six months, various institutions from central government and regional government come to visit this Public Service Mall," mentioned Edy Junaedy, Head of Jakarta Investment and One-Stop Integrated Service (PMPTSP) Dept., Wednesday (4/11). He explained, central and regional institutions that visited Public Service Mall are Financial Ministry, Foreign Affairs Ministry, Law and Human Rights Ministry, Industry Ministry, Health Ministry, Trade Ministry, Ombudsman, and other regional institutions. "Most of them learn about service activities and service innovations that have been implemented in Public Service Mall," he explained. Due to many visits from other institutions, he considers license and non-license service in Jakarta has met the expectation and exceeded public service standards. "Of course we are proud of many work visits conducted in Public Service Mall," he expressed.